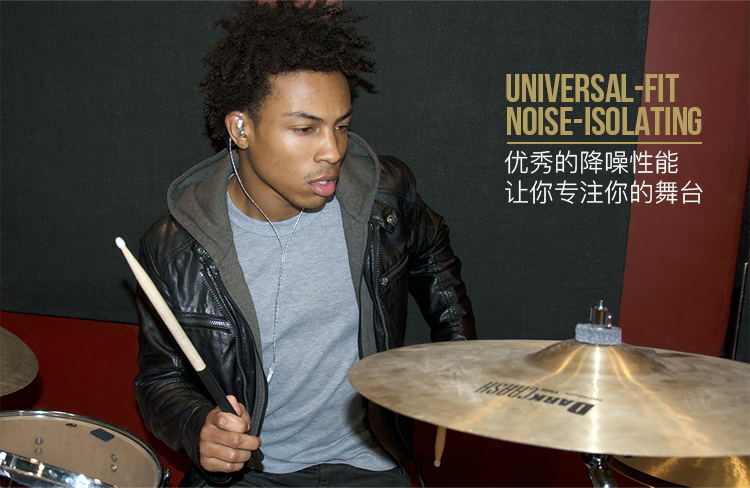 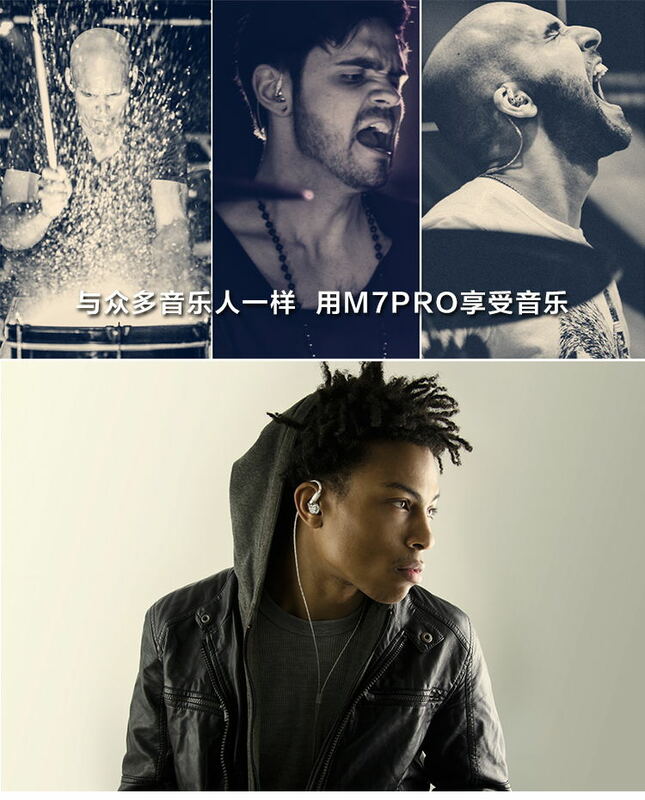 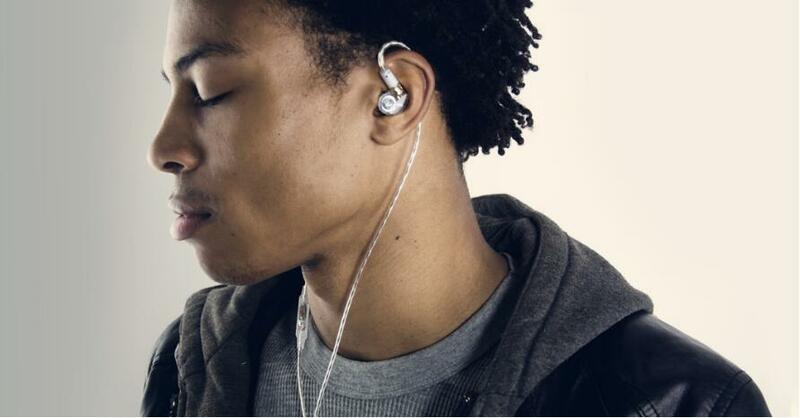 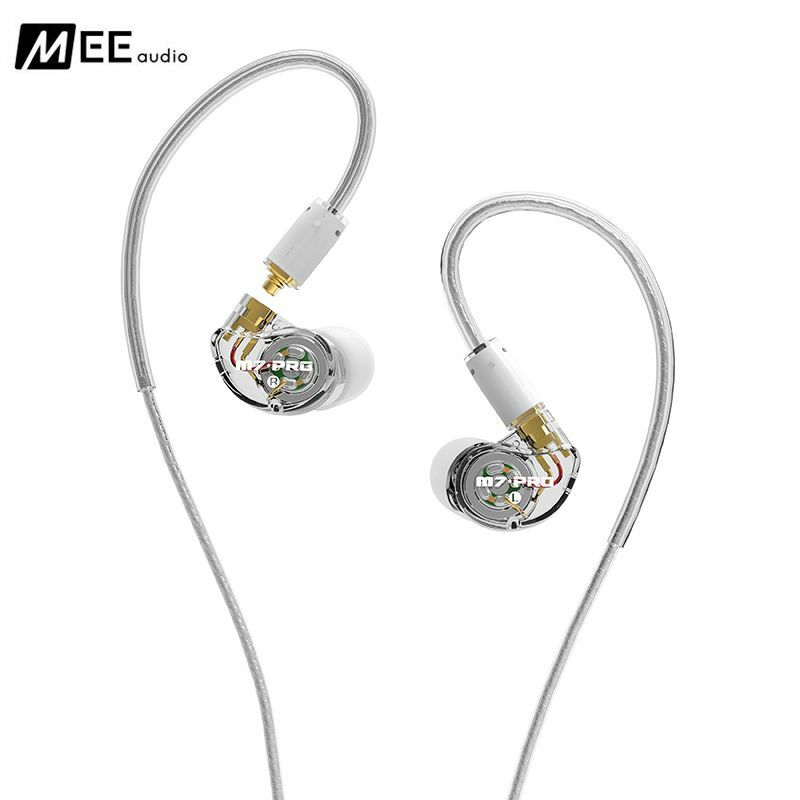 PERFECT ON & OFF THE STAGE Following in the footsteps of MEE audio’s best-selling M6 PRO, which made quality in-ear monitors affordable to all performers and has garnered a loyal following since its launch in 2015, the M7 PRO offers a versatile modular design, outstanding audio performance, and exceptional value. 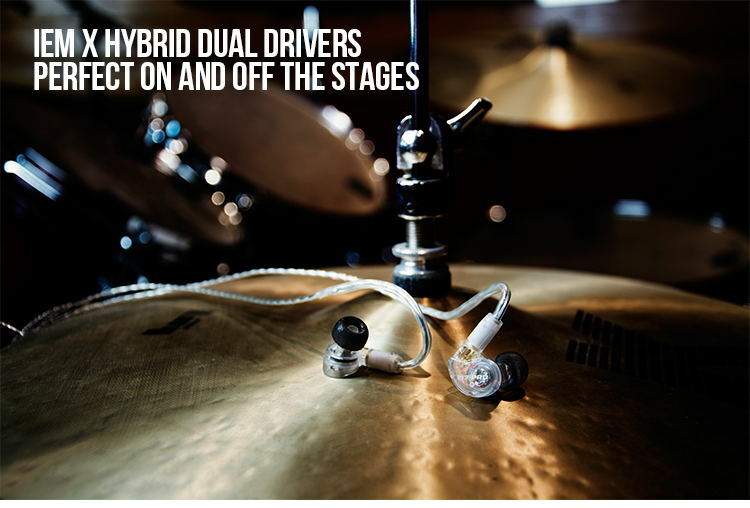 Developed with our fan base of drummers and bass guitarists in mind, the M7 PRO features a new hybrid driver technology that delivers realistic bass response without compromising the midrange and treble. 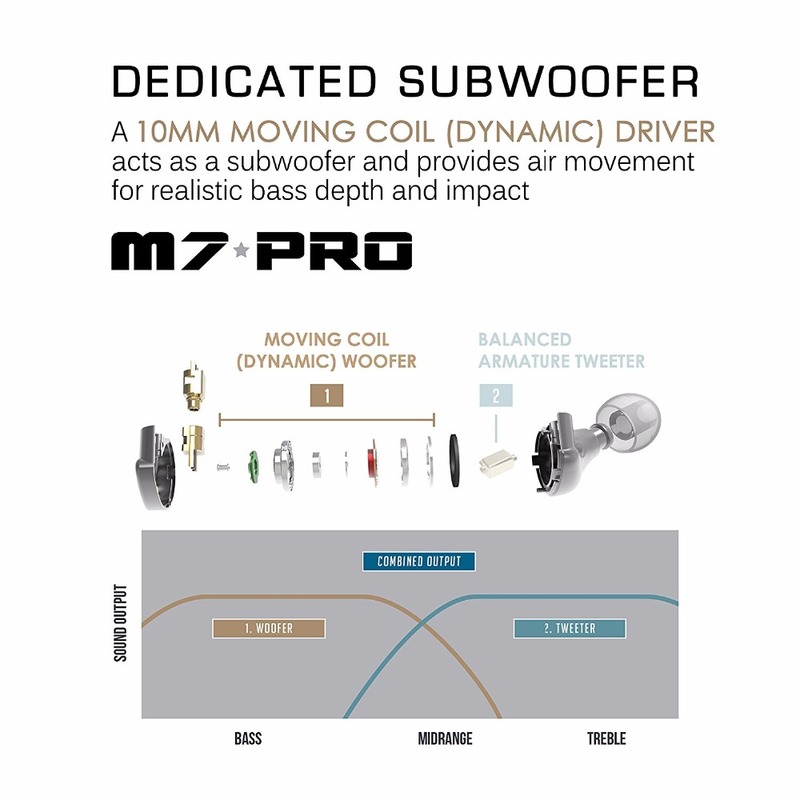 HYBRID DUAL-DRIVER TECHNOLOGY Combining a moving coil subwoofer with a balanced armature tweeter, the M7 PRO delivers deep bass, superb clarity, and crisp detailing. 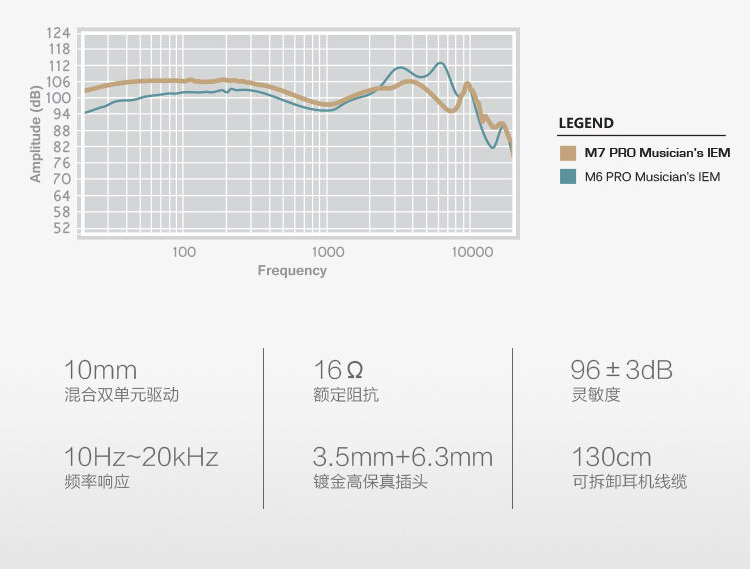 A 10mm moving coil (dynamic) driver acts as a subwoofer and provides air movement for realistic bass depth and impact. 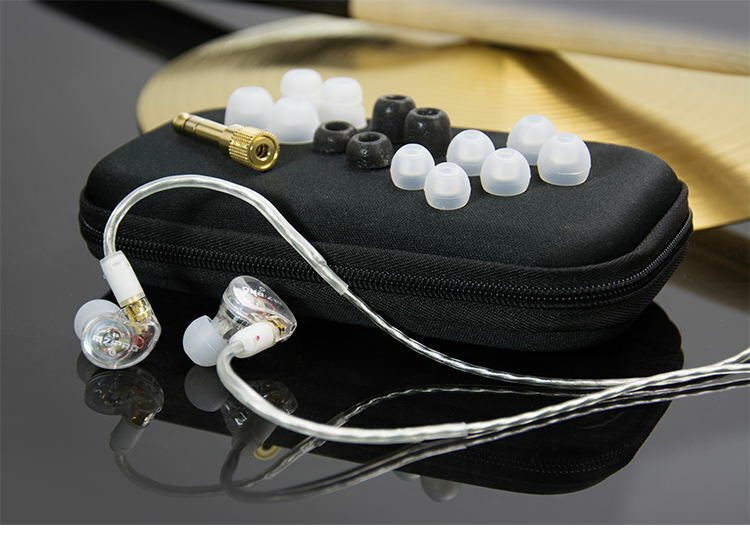 An all-new balanced armature (BA) driver is quick and precise for clear and detailed reproduction of midrange and treble frequencies. 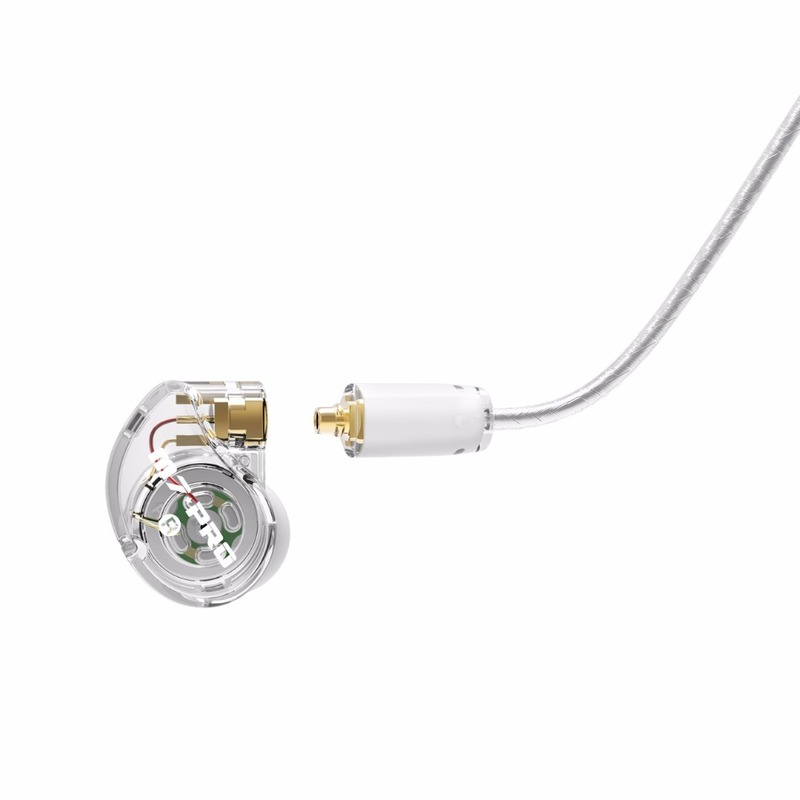 BUILT TO LAST Engineered for real-world reliability, the M7 PRO features detachable, replaceable cables with MMCX connectors and includes a spare cable with headset functionality. 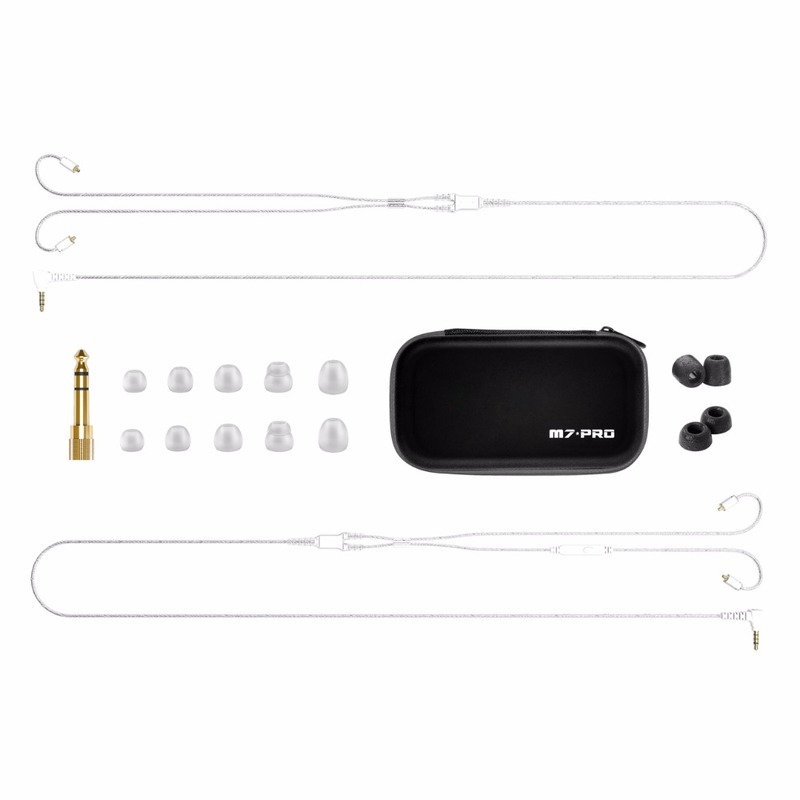 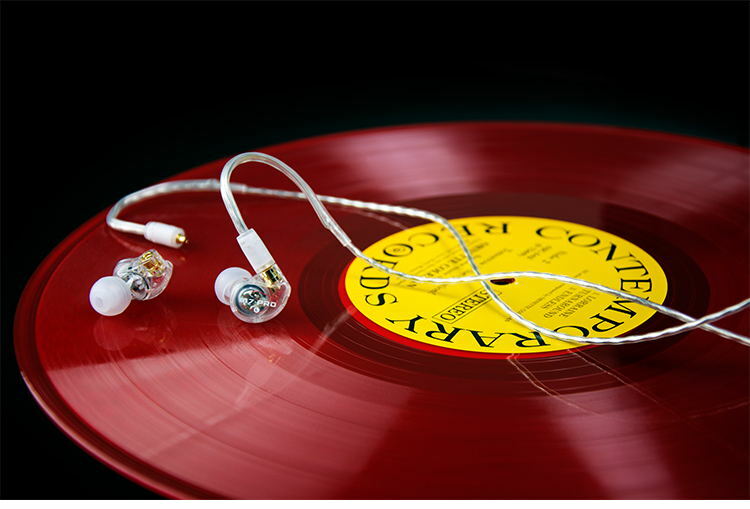 HEADSET CABLE WITH MIC & REMOTE The included headset cable features a built-in microphone and remote, letting you seamlessly take calls and control media playback with phones and tablets.